Only around 0.01% of all the brain’s activity is experienced consciously. Try to grasp: the subconscious mind can process 20 000 000 bits of info per second while the conscious mind can process only 40 bits of info/sec. Our unconscious mind contains so much information. Much more information than our conscious mind does. Gigabytes of hidden information. Information that can and does form our behavior. Have you ever noticed that curious fact that you might have an opinion but you don’t know why you think that way? The reason is usually hidden in our subconscious. No survey is able to help you uncover if people hold stereotypes or biases. People with prejudices will almost never accept the fact they are biased. We lie even to ourselves because our conscious and unconscious thinking exists as 2 parallels - even we might not truly know that we hate or love something. However, there is a great way to reveal our subconscious reactions. It is based on the reaction time. The faster your reaction, the more sure you are about something. We designed the Implicit Priming Test (IPT*) to allows anybody (not just professional researchers) to identify people's preferences, stereotypes, and prejudices by capturing and measuring unconscious reactions of respondents to external stimuli (pictures, names, etc.). It helps to understand respondents’ real attitude to the tested objects by comparing the speed of their response provision to a combination of objects and various statements or characteristics. 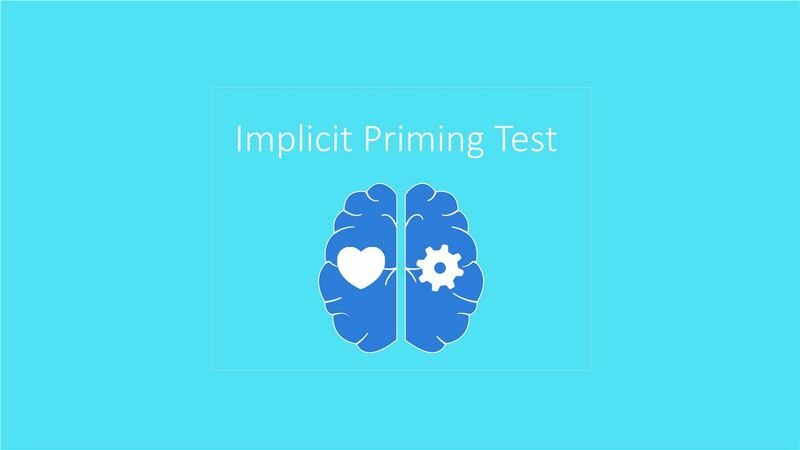 This infographic explains what is the Implicit Priming Test and also it will help you to conduct your first test on your own at CoolTool platform (you need to register an account, in case you don’t have it). * The IPT consists of two different implicit reaction time tests (Implicit Association Test and Semantic Priming Task).